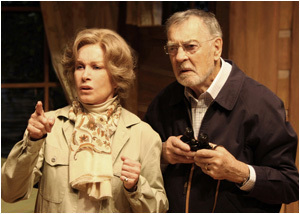 In 2012 Middle Ground Theatre Company presented a stellar cast for Ernest Thomson’s classic On Golden Pond. STEFANIE POWERS and RICHARD JOHNSON headed a star cast which also included ELIZABETH CARLING. 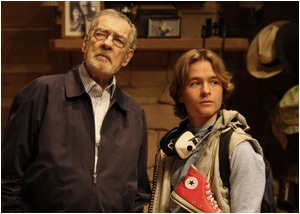 On Golden Pond is the classic Broadway comedy on which the Academy Award-winning film was based. This is the funny, endearing and touching story of three generations of the Thayer family who come together for a summer holiday in a country house. 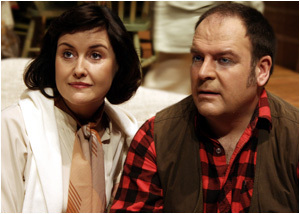 As the golden days of summer pass, the family explore their relationship with each other – with amusing and often moving results. 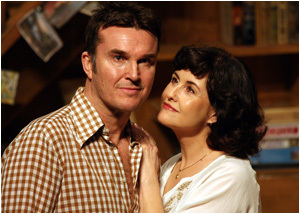 The New York Daily News described the play as “A work of rare simplicity and beauty”, and the Middle Ground production has been garnering high praise from press and audiences alike on its UK tour. 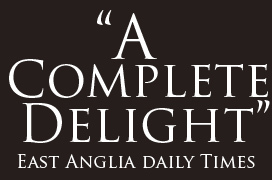 Also starring Tom Roberts, Graeme Dalling, Kasper Michaels and Victoria May.